Today is a big day for literature history! The much-celebrated English romantic poet, Percy Bysshe Shelley was born, in 1792. Later in life, Shelley married Mary Wollstonecraft Godwin, (incidentally covered in our blog a few posts ago! ), also known as the famed author, Mary Shelley. At the height of his career, Percy Shelley churned out a number of major poems, plays and even Gothic novels. He had such a massive impact upon the literary world that years later, even Ghandi proved this influence when he chose to read from Shelley’s political poem “The Masque of Anarchy” at demonstrations. Head over to infloox for a more in-depth look. Fast forward to 1944: Also on August 4th, on a much more sobering note, 15-year-old Anne Frank was captured by the Gestapo and sent to a concentration camp. However, her precious diaries became her legacy, giving the entire world an intimately personal peek into life as a Jew during the war. 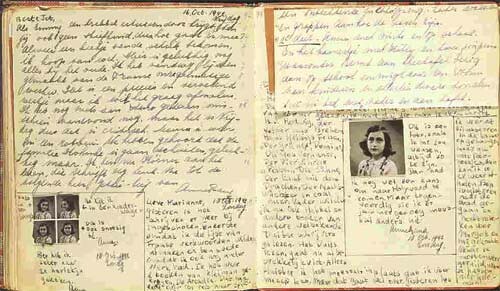 Upon its publication by her father in 1947, The Diary of Anne Frank became an instant bestseller.